It's been way to long since I posted a book review, I know. That doesn't mean I haven't been reading though! I actually have a big group of books I plan to review at once when I'm finished entirely, so that is to come soon. I picked this book up a few months ago on Half.com and I just got a chance to read it. 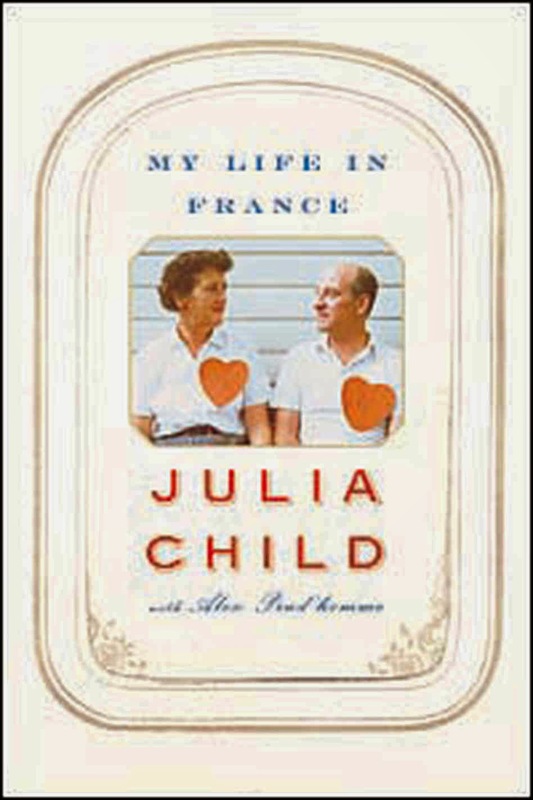 The book begins when Julia and her husband, Paul, move to Paris for the USIS. Her husband works while she tries to figure out what to do with herself. She learns French and quickly falls in love with the people, the customs, and especially the food. She decides to attend Le Cordon Bleu which starts her lifelong passion for cooking and teaching. I love the amount of detail paid to her day to day routine while she is writing Mastering The Art of French Cooking and the turmoil she went through just to have it published. My husband bought me her cookbook set several years ago for my birthday (at my request), and I have always enjoyed everything I've made from them. Now that I've read the back story of the book, it gives me a much deeper appreciation of the care and perfectionism that went into making it. Julia is part cook part scientist and tested out every possible option of ingredients on top of every mistake that could be made so that she could tell the reader with surety what to use and how to fix things that go wrong. She also took a lot of time converting the French recipes to use American ingredients, which were extremely different at the time (and let's face it, it's still almost impossible to get crème fraîche here) and can yield different results. She deliberately made the book fool proof so that anyone could make a delicious, authentic French meal just by following her instructions. She also went into great detail to explain all the different methods of preparation needed for each recipe. Reading this book makes me want to read her cookbooks like a book! They are designed to be like a culinary course in your home - pretty fantastic if you ask me. One of my favorite pics from the book. 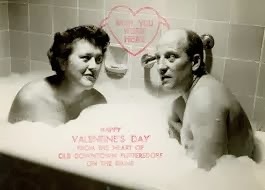 They sent this out as a Valentine card to their friends and family one year, lol. I love the casual way this was written. 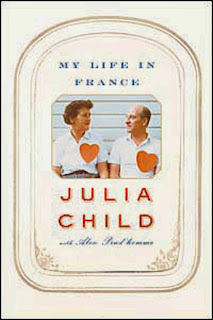 You can absolutely hear Julia Child saying everything - it's like she is talking to you through the book. She uses cute words like phooey, lol. She is a very interesting but also very kind and open person and that really shows through in this book. On top of that she uses quite a bit of French in the book, some of which isn't translated for the reader. It will sound ridiculous, but I studied French for most of my life (it was even my major in college), so I get a snooty kick out of the fact that I could read and understand everything, lol. But hey, it's about France so it needs a little snootiness.